On October 10th Ms. Green, our new College and Career Coordinator, organized College Knowledge Jeopardy! for 9th grade students at Renaissance Academy High School. Participating freshmen were invited to the auditorium and divided up into three teams to play. Students were able to show off their existing college knowledge by answering questions from five categories. 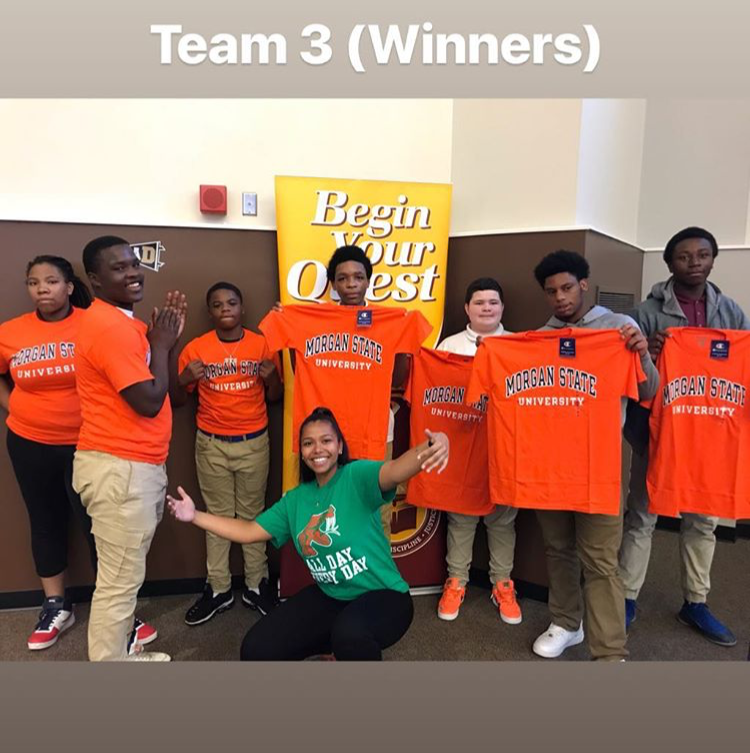 After a shy start, Team 3 came out on top with a total of 2,400 points and received awesome Morgan State t-shirts as a prize. Following the friendly competition, freshmen were able to enjoy lunch as they learned more about Ms. Green’s afterschool College Crew sessions that will be starting next week. This event marks the kick off of our MSDE Next Generation work by providing a fun learning experience about college for students and enable them to bond with their fellow classmates, hear about the supports made possible through our Next Generation Grant, as well as meet Ms. Green formally. We are very excited about what is to come for the 2018-2019 school year!